Copyright: © 2016 Song H, et al. This is an open-access article distributed under the terms of the Creative Commons Attribution License, which permits unrestricted use, distribution, and reproduction in any medium, provided the original author and source are credited. Granulomatous rosacea is a variant of rosacea, and can be diagnostically challenging given the wide differential diagnosis for granulomatous facial eruptions. We present a case of an impressive cutaneous eruption clinically and histologically consistent with granulomatous rosacea, and review the differential diagnosis, management and treatment options for granulomatous rosacea. Rosacea is a common chronic dermatologic condition characterized by erythema, papules, and telangiectasias on the central portion of the face. It typically affects middle-aged females more than males with lighter skin types. Granulomatous rosacea is a non-inflammatory variant of rosacea that can have tremendous variability in clinical presentation. A 52 year old gentleman presented from Kuwait for evaluation of a persistent pruritic rash on the face, which had been present for several months. The patient had a biopsy proven diagnosis of prurigo nodularis on the hands and legs from Kuwait. The facial rash was presumed to be prurigo, but had never been biopsied or treated. Physical exam revealed hyperpigmented to slightly violaceous indurated plaques on the nose and malar cheeks with sparing of the naso-labial folds. He also had hyperkeratotic papules and plaques on the hands, feet, and legs. Laboratory testing, including complete blood cell count (CBC), comprehensive metabolic panel (CMP) and hepatitis serologies were unremarkable. Punch biopsies of the hand and leg revealed findings consistent with prurigo nodularis. The punch biopsy of the left cheek showed perifollicular granulomas with admixed acute and chronic inflammation, without evidence of sarcoidosis. These findings were felt to be most consistent with granulomatous rosacea. He was treated with oral minocycline for four weeks without improvement and then transitioned to oral isotretinoin. At his one-month follow-up visit, the facial eruption was improving. This case highlights the diagnostic challenge when a patient presents with facial plaques with granulomatous dermatitis on histopathology. Granulomatous dermatitis is characterized by granulomas, or well-defined collections of inflammatory cells, including histiocytes and giant cells. The differential diagnosis for granulomatous dermatitis should include perioral dermatitis, lupus miliaris disseminatus faciei, cutaneous tuberculosis, atypical mycobacterial and fungal infections, sarcoidosis, facial afro-carribean eruption (FACE), and granulomatous rosacea . Rosacea is a common dermatologic condition characterized by flushing, erythema, papules, and telangiectasia on the central face. The etiology of rosacea is thought to be multifactorial, and includes vascular hyperreactivity, ultraviolet radiation, microorganisms, particularly Demodex folliculorum mites and Helicobacter pylori, and hyperreactivity of the immune system . Rosacea is subdivided into four subtypes and one variant. The four subtypes are erythematotelangiectatic, papulopustular, phymatous, and ocular rosacea, and the variant is granulomatous rosacea . Granulomatous rosacea is a rare variant with a wide variety of clinical presentations. The stimulus for granuloma formation is unknown. The clinical presentation of granulomatous rosacea is characterized by hard yellow, red, or brown papules and nodules that can lead to scarring in the centrofacial and periocular distribution . However, granulomatous rosacea can have tremendous variability in clinical presentation, ranging from erythema to papulonodular nodules to nodular lesions with rhinophyma . In our patient, the clinical presentation included impressive facial plaques in a distribution suggestive of rosacea. The lesions may be asymptomatic, or have a pruritic, painful, or burning sensation. In our patient, the predominant symptom was pruritus (Figure 1). 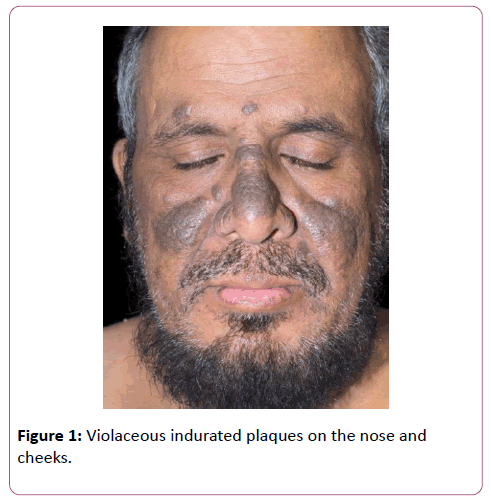 Figure 1: Violaceous indurated plaques on the nose and cheeks. Dermatopathology demonstrates mixed lymphohistiocytic infiltrates, as well as caseating and noncaseating epitheliod granulomas, with negative stains for mycobacteria and fungi . It is important to exclude infectious etiologies for any lesion with significant granulomatous dermatitis on histopathology (Figure 2). Baseline evaluation should include a CBC and CMP. Serum testing, chest radiograph, and pulmonary function tests should be considered for patients with suspected sarcoidosis. Diagnostic studies, including mycobacterial culture, purifiedderived test, and chest radiograph can evaluate for cutaneous tuberculosis in the appropriate clinical setting. Figure 2: A Punch biopsy specimen of right cheek on low power view (10x) showing admixed acute and chronic inflammation B, Punch biopsy specimen of right cheek on high power view (20x) demonstrating granulomas and mixed inflammatory infiltrate. The course of disease is often chronic, and can be very difficult to manage. The first-line of treatment is the tetracycline family of antibiotics, which has multiple anti-inflammatory mechanisms of action . Oral isotretinoin, which is the current treatment for our patient, is an alternative treatment with reported success for recalcitrant granulomatous rosacea . There has also been reported success of a patient who failed isotretinoin and oral corticosteroids that had long-term stabilization of disease with systemic treatment with dapsone . In summary, we report a case of a patient with impressive facial plaques with granulomatous dermatitis on histology. The clinical and histologic features were most consistent with granulomatous rosacea, and an infectious work-up ruled out other important etiologies on the differential diagnosis. This case highlights the spectrum of severity of clinical presentations of granulomatous rosacea. Granulomatous rosacea can be chronic and difficult to manage, and oral tetracyclines, isotretinoin, and dapsone should be trailed for recalcitrant disease. Helm KF, Menz J, Gibson LE, Dicken CH (1991) A clinical and histopathologic study of granulomatous rosacea. J Am Acad Dermatol 25: 1038-1043. Khokhar OM, Khachemoune AM (2004) A Case of granulomatous rosacea: Sorting granulomatous rosacea from other granulomatous diseases that affect the face. Dermatol Online J 10. Mc Aleer MA, Lacey N, Powell FC (2009) The pathophysiology of rosacea. G Ital Dermatol E Venereol Organo Uff Soc Ital Dermatol E Sifilogr 144: 663-671. Wilkin J, Dahl M, Detmar M, Drake L, Feinstein A, et al. (2002). Standard classification of rosacea: Report of the National Rosacea Society Expert Committee on the Classification and Staging of Rosacea. J Am Acad Dermatol 46: 584-587. 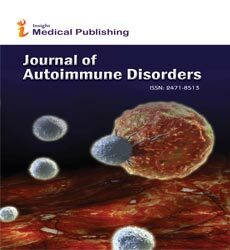 Webster G, Del Rosso JQ (2007) Anti-Inflammatory Activity of Tetracyclines. Dermatol Clin 25: 133-135. Ehmann LM, Meller S, Homey B (2013) Successful treatment of granulomatous rosacea with dapsone. Hautarzt Z Für Dermatol Venerol Verwandte Geb 64: 226-228. Rallis E, Korfitis C (2012) Isotretinoin for the treatment of granulomatous rosacea: case report and review of the literature. J Cutan Med Surg 16: 438-441.